The carpet tiles are the best choice if you want a fashion forward, textured look at a great price for your home. Used as an area rug, hallway runner or wall to wall, this tile provides a solution that does not require an installer or a separate adhesive. You can create a new look in an afternoon with this peel & stick system. The 18 in. x18 in. tiles are cut with the "perfect cut" system, which ensures easy installation for a beautiful floor. The only tools you will need to install are a measuring tape, chalk line, utility knife with a sharp blade and a contractor square. Easily maintained by vacuuming or sweeping. In the event of a stubborn stain or damaged tile, simply replace the tile with a new one. This lightweight, low profile, unpadded tile can be used in basements, porches, exercise rooms, workrooms, and even outdoors. Durable Hobnail needle-punch construction made in the U.S.A. The Bosch CRS180BL 18 V Reciprocating Saw is just 17.4 In. long and 7.6 Lbs., and it is designed to handle cuts overhead and in tough areas where other reciprocating saws can't fit. It has the best power-to-weight ratio in its class. This beefy cordless saw delivers a long and effective 1-1/8 In. stroke, to remove more material per stroke. The power tool's light weight is ideal for plumbers or electricians who have continuous cutting applications. It has two speed ranges 0-2,400 SPM and 0-2,700 SPM to match the speed of the cut to the material. It easily handles drywall and wood. The Lock-Jaw blade-change system is easy to use and permits one-handed blade changes. The set includes an L-BOXX-3 carrying case and an Exact-Fit insert tray. The battery and charger are sold separately. Double-Dyed Synthetic series, this rugged synthetic handle is carefully jigged and double-dyed to achieve a classic look with modern characteristics. These knives feature strong shoulder and satin finish, brushed finish Lazy Duck bolster, special double-dyed synthetic handles and nickel silver Carhartt shield. Case artisans still hand-craft each knife the way they have for 124 years. They put a lot of time and effort into making sure the knives they produce today reflect on their history in positive way - the finest steel blades, nickel silver bolsters, covers that are pinned, not glued like lesser grade knives, and a limited lifetime warranty. All this and the pride of being made exclusively in the USA stands behind each knife. Protect your eyeglass lenses with this lightweight Shadedeye case. This case is chic, providing an element of style and sophistication. The EVA material is gentle on the lenses and a thin style makes it an ideal purse or pocket companion. 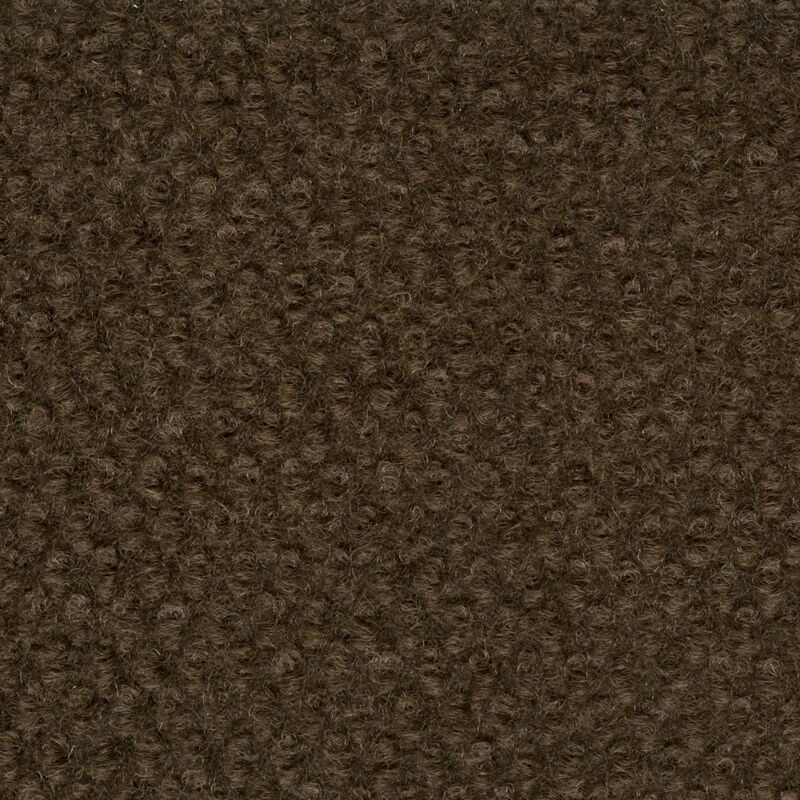 The Traffic Master Carpet Tile is the best choice if you want a fashion forward look at a great price. Used as an area rug, hallway runner or wall to wall, this tile provides a solution that does not require an installer or a separate adhesive. You can create a new look in an afternoon with this peel & stick system. The 18"x18" tiles are cut with the "perfect cut" system, which ensures easy installation for a beautiful floor. The only tools you will need to install are a measuring tape, chalk line, utility knife with a sharp blade and a contractor square. The tiles have built in antimicrobial protection to fight the growth of stain and odour causing bacteria, as well as mould and mildew, which makes it perfect for kids or pets. Easily maintained by vacuuming or sweeping. In the event of a stubborn stain or damaged tile, simply replace the tile with a new one. 18-inch x 18-inch Indoor/Outdoor Brown Hobnail Carpet Tiles 16 Tiles/Case - (36 Sq.Feet./Case) The carpet tiles are the best choice if you want a fashion forward, textured look at a great price for your home. Used as an area rug, hallway runner or wall to wall, this tile provides a solution that does not require an installer or a separate adhesive. You can create a new look in an afternoon with this peel & stick system. The 18 in. x18 in. tiles are cut with the "perfect cut" system, which ensures easy installation for a beautiful floor. The only tools you will need to install are a measuring tape, chalk line, utility knife with a sharp blade and a contractor square. Easily maintained by vacuuming or sweeping. In the event of a stubborn stain or damaged tile, simply replace the tile with a new one. This lightweight, low profile, unpadded tile can be used in basements, porches, exercise rooms, workrooms, and even outdoors. 18-inch x 18-inch Indoor/Outdoor Brown Hobnail Carpet Tiles 16 Tiles/Case - (36 Sq.Feet./Case) is rated 3.7 out of 5 by 7. Rated 4 out of 5 by aaaa from Excellent Carpet Tiles Excellent product, and delivery as well. A bit pricey though. Rated 4 out of 5 by scottlad from Good value and easy installation. East to install due to light weight. Great for a low traffic setting. Would go with a heavier product for a more heavily used area. Rated 4 out of 5 by a1b2c3 from Only have had it for a little over a month. Although it's really too soon to rate this carpeting completely, it's what I thought it would be. I put it around the outside 3-4 feet of my attached garage. It arrived quickly upon ordering, looks decent after 5-6 weeks, the self-adhesive backing was a bit lacking on a few pieces so I'll have to see how that holds up (I added some tape in places), and does keep my bare or stockinged feet from the cold when I need to get something out of the vehicle or the freezer or cupboards that are in the garage. Decent. I'm sure you could get similar carpeting at numerous places, but I would use this product again if needed. Rated 1 out of 5 by disappointed from This stuff is garbage I never even installed it because the quality was soo bad. Rated 4 out of 5 by ivan44 from great price. great product Only one box came with an insufficient amount of glue but the other 7 were perfect and easy to work with. Easy to lay down and easy to cut. Rated 4 out of 5 by Layne from Over all the quality is good Over all this carpet is of good quality, easy to install and so far, seems very durable. Although, I was disappointed with the thinness of the squares, they do serve my purpose. Rated 5 out of 5 by Anne from Great product; great price! These floor tiles were very easy to lay and provide just the look I want for my multi-purpose room. Glad I was able to find them through the Home Depot website.